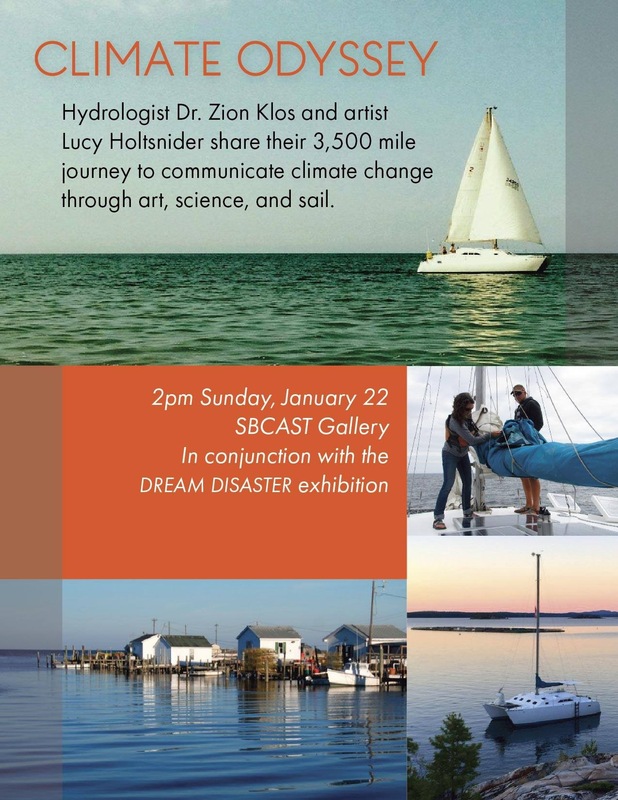 Dr. Zion Klos is an environmental scientist specializing in hydrology and climate change communication. His research experience spans a diversity of climate and water related issues, from questions of future water availability in mountain, tropical, and coastal systems, to projects understanding how our choices as people affect the dynamics of landscapes and their ability to provide ecosystem services worldwide. He also collaborates outside of his own discipline with social and cognitive scientists by focusing on projects that explore how we best communicate the science of climate change to diverse audiences in rural America. Lucy Holtsnider is an environmental artist working in book arts, printmaking, photography, and sculpture to comment on areas of overlap between natural and man-made environments. Her work is place-based and uses patterns and textures to give historical and regional context to the interactions between built constructions and natural phenomena.Throughout the Climate Odyssey expedition, Lucy photographed climate change impacts and adaptations, joined Zion in classroom visits and outreach, maintained the website, interactive map, and blog, and continued to make her own art. Lucy is currently an MFA candidate at the University of California at Santa Barbara.